This is the new and exciting way to descend the current and follow the Nera River in its section following the Marmore Falls. 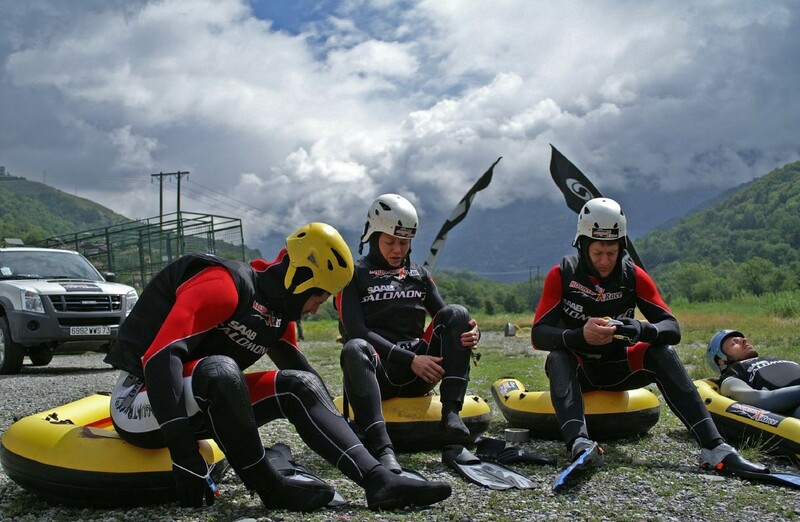 Each participant wears a neoprene wetsuit, lifesaver, helmet and flippers. And then there is the hydrospeed, a sort of small "bobsled" made of floating plastic, which one must hang on to tightly with one's hands and which allows one to drift safely along the rapids. It is not difficult and does not require much strength: you must simply abandon yourself to the course of the river water and observe the directions of the instructor who follows you as you play in the current. He/she helps you to discover its secrets, allowing you to enjoy yourself safely. The descent lasts about two hours and, like for rafting, one must be a good swimmer and be in good health. Required equipment Swimsuite, dry change and everything for shower. Cascata delle Marmore: guided tour "The waterfall close"